Kindergarten Report Card Grade Assessment. 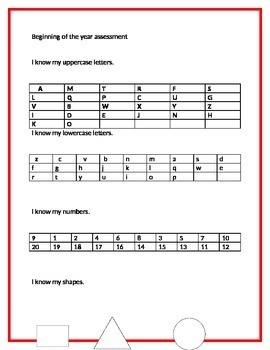 As a kindergarten teacher it is important to keep track of each student’s progression. There are a lot of areas that a kindergarten student must master by the end of the year. Not only do teachers get over whelmed, but parents do as well. 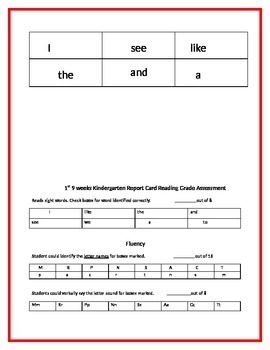 I created a Kindergarten Report Card Grade Assessment. This will allow you to assess where each student is in all four nine weeks. 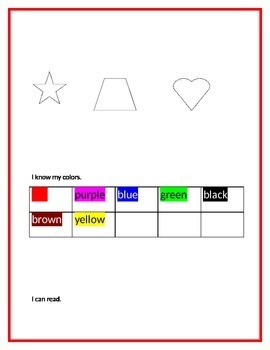 When you meet with parents you can use this as a tool to show them their child’s skill level. I like to give one copy to my parents and keep one in each students file. 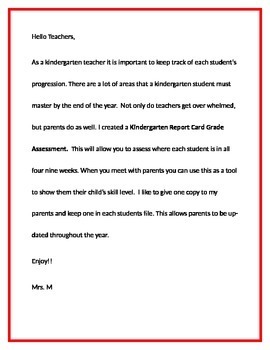 This allows parents to be up-dated throughout the year.